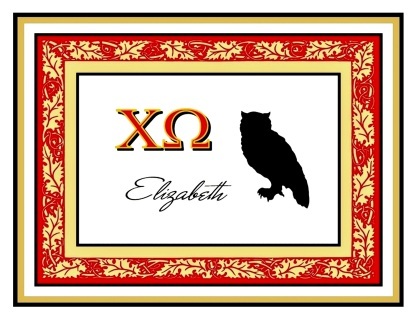 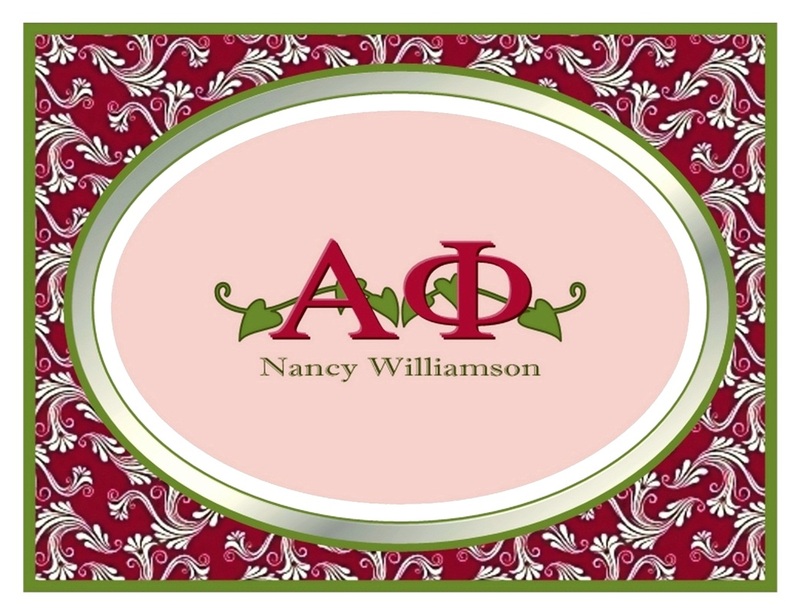 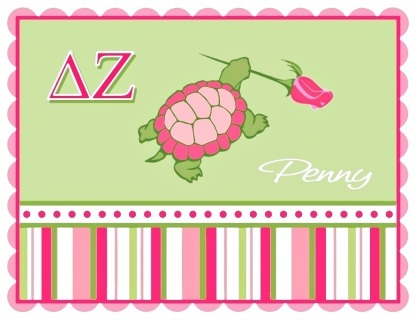 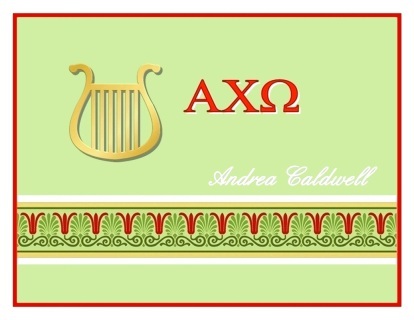 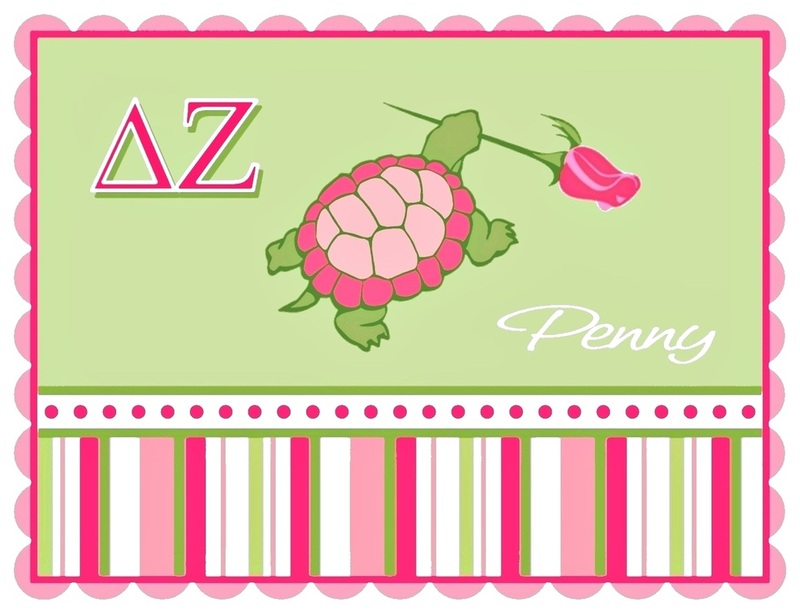 Designed in the sorority’s colors of scarlet red and olive green and emblazoned with their symbol, the golden lyre, these note cards make a lovely expression of Alpha Chi Omega pride. 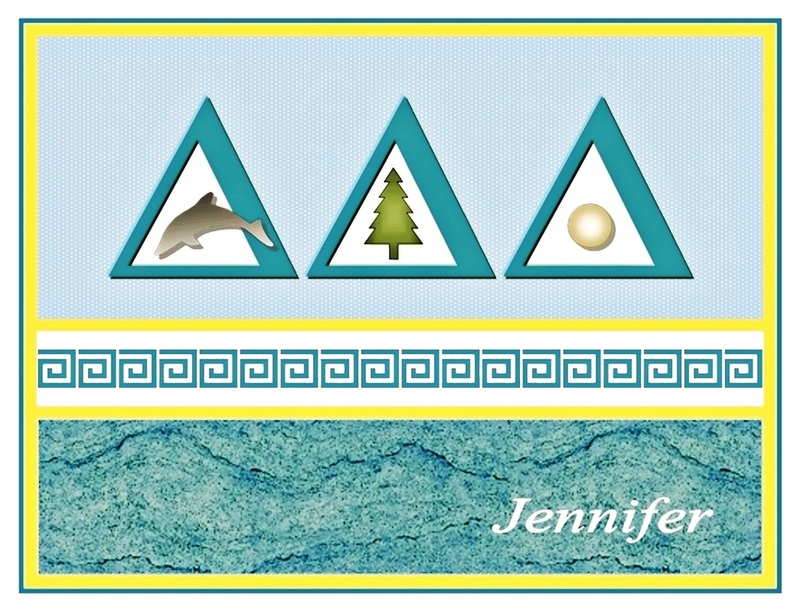 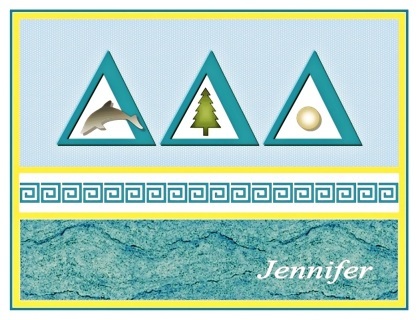 The dolphin, pine tree, and pearl, three meaningful symbols to the Delta Delta Delta sorority, are framed by the three delta letters. 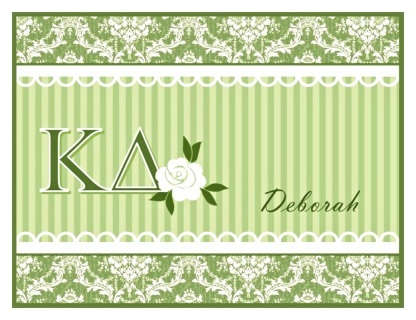 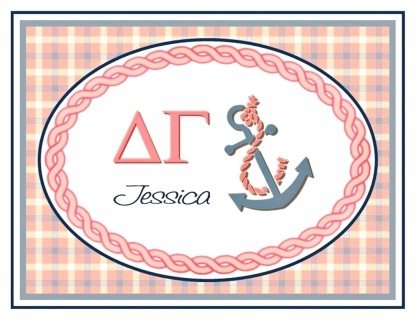 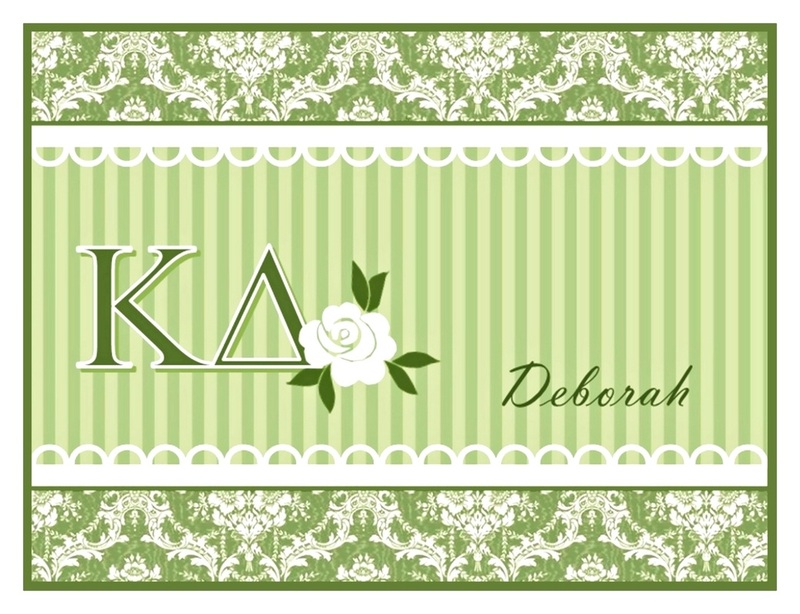 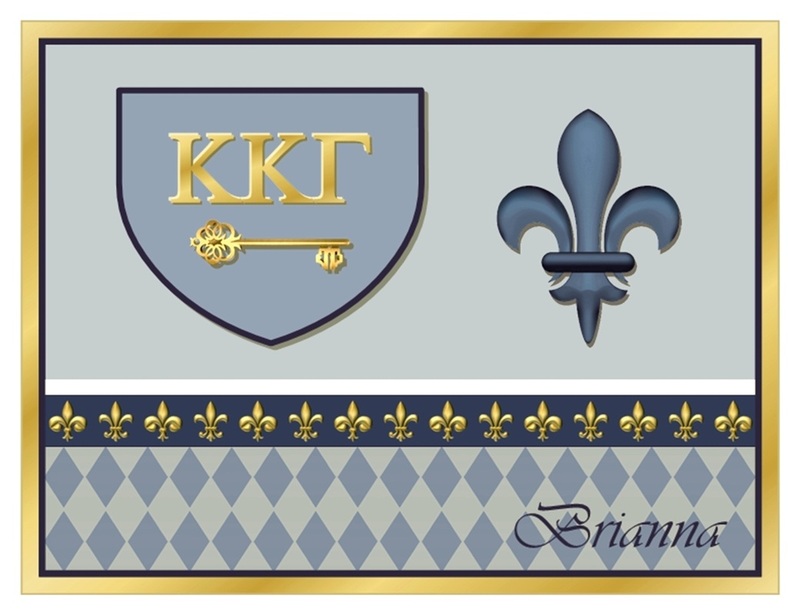 With background designs in the sorority’s colors of cerulean blue and gold, these note cards make a lovely statement of Tri Delta pride! 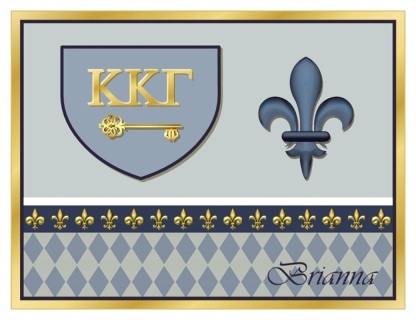 Emblazoned with the Kappa Kappa Gamma’s distinctive fleur-de-lis and golden key, and done up in their colors of light and dark blue, these lovely note cards are the perfect way to pay tribute to the KKG sisterhood.